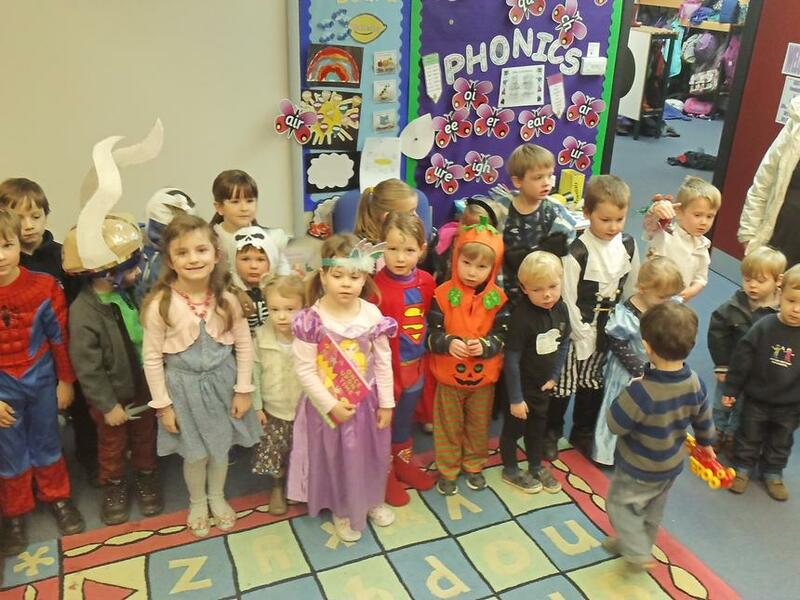 Everyone had a wonderful day yesterday as they came to school dressed as their favourite book characters. We saw an array of colourful and interesting characters sat in class, ranging from 'The Cat in the Hat' to 'Cinderella' and from 'Just William' to Roald Dahl's 'Giraffe'. The children from the Pre School joined Egrets for story-telling and games and the day was rounded off with a fancy-dressed 'Samba' through the village......we're sure that our book characters dancing to the beat brought a few smiles to people's faces on a rainy spring afternoon! Thank you to all of our parents and carers for providing such lovely costumes.